Here are some photos of the Roosevelt High School Jazz Band in performance last week at the Triple Door as Earshot Jazz Festival continues. I have been meaning to add these but have been swamped lately.Thanks to Michael Craft for covering this and some other performances I was unable to catch this year. The Roosevelt High School Jazz Band remains a titan of big band excellence. Praised far and wide for their strong ensemble playing, they returned to the Triple Door for their annual Earshot Jazz festival performance. 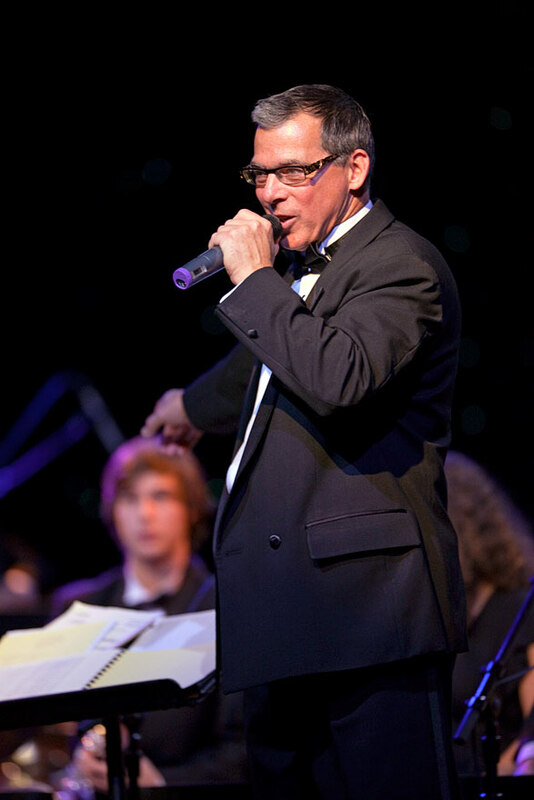 The band performs under the direction of Scott Brown, above, a dedicated teacher and accomplished jazz artist. Brown is himself a trombonist with the Seattle Repertory Jazz Orchestra and recipient of the 2007 KCTS Golden Apple Award for Excellence in Education. Photography by Seattle photographer Michael Craft.